Kingsley is a successful beverage company with extensive product range across all the NARTD categories (sparkling soft drinks, water, energy drinks, iced tea, sports drinks and fruit juice). Products produced in Peterborough are being distributed throughout the UK as well as being exported to Kingsley operations across the globe. Key components of the solution they required included having the ability to make and receive calls from the Hosted VOIP system on their mobile phones, enabling them to deliver a great service to their customers and make life easier for staff. Secondly, they needed a system in place which would be exceptionally reliable, so they could always maintain the highest levels of service for their customers. Airphone was appointed to design and supply their hosted VOIP platform to serve all users. 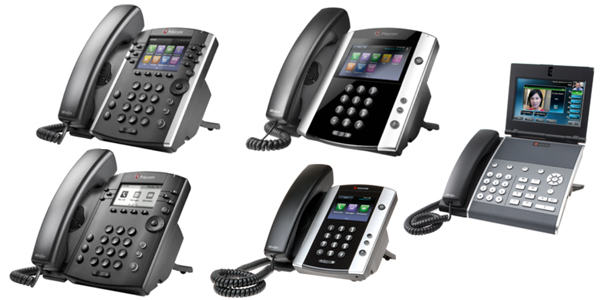 Based on BT’s globally recognised hosted VOIP platform, Airphone implemented a Hosted VOIP solution in the cloud and distributed Polycom’s VVX range of IP Handsets to users along with smartphone app access and desktop software which provided integration into their company CRM (Customer Relationship Management System). With resilience at the core of the solution, the platform sits within an extensive, fault tolerant and resilient Data Centre network with no single points of failure, designed to maximise uptime and ensure the charities helpline staff were always contactable whilst maintaining the highest voice quality and stability. The hosted platform incorporates a central administration system for management of call routing and voicemail and a user portal for each user to access system directories, call management information and personal call routing preferences. Furthermore, features including Conversation Recording and integration with a large range of CRM systems can be now easily added through a simple monthly subscription. As excellent voice quality is so fundamental in VOIP implementations, Airphone also implemented fibre connectivity into the office supporting Voice, Data and access to other Cloud services with enhanced Service levels including guaranteed fix times and Internet service availability greater than 99.999%. • No proprietary telephone system hardware was necessary as the complete telephony solution is cloud based making it low cost to supply and support, additionally the system is simple to maintain. • All system management can be performed by KIngsley, reducing costs, improving user experience and minimising timeframes for changes to be completed. • New internet connectivity provided a high-speed connection and helped improve system performance overall. • Integration with the company Customer Relationship Management system (CRM) allows users to dial numbers directly from their PC Screen.